A few years ago, Russian kitmaker Zvezda released a 1/48 Lavochkin La-5FN (soon followed by the earlier La-5), sparking a complete re-evaluation of their reputation and kicking off what’s become a more-or-less steady trickle of new-tool VVS subjects. 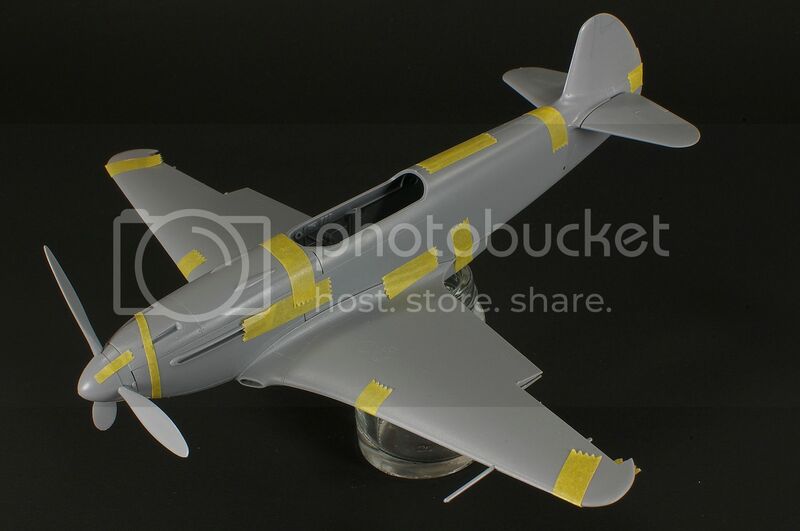 Considering the dire state of the Soviet VVS in 1/48 scale, even this trickle is a blessing for fans of World War II-era Soviet aviation. The La-5 kits were – and still are – remarkable kits, packed full of detail and possessed of an intricate build process that would make Accurate Miniatures proud. Ever since the La-5s, however, Zvezda has wandered off the VVS track and into Luftwaffe territory with the Bf 109F-2 and the recently released F-4. Now, they’re back, and with the one aircraft that might give the La-5 a run for the title of best Soviet fighter of the war – the Yakovlev Yak-3. 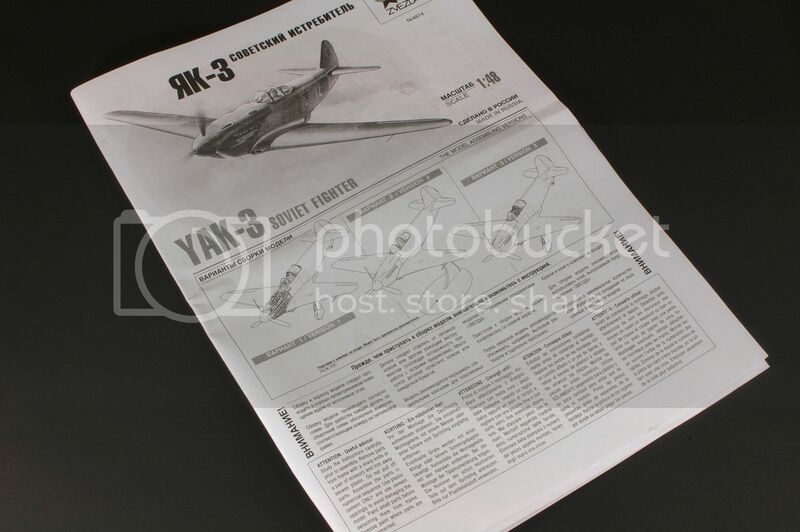 The story of the Yak-3 begins with the Messerschmitt Bf 109. When the German fighter made its debut in the 1930s, it sparked a modernization effort throughout Europe. The Soviet Union, realizing its Poplikarov I-16 was hopelessly outmatched, rolled the dice with three different fighter designs – the Mikoyan-Gurevich MiG-3, the Lavochkin-Gorbunov-Gudkov LaGG-3 and the Yakovlev Yak-1. The Yak-1 was probably the best-regarded of the three, but its wood construction added weight and degraded performance against the Luftwaffe’s 109s. In 1943, Yakovlev took the Yak-1 as a base to create the Yak-1M, a smaller, lighter variant with improved aerodynamics, armor and engine cooling. The chief test pilot of the Yak-1M prototype was so impressed that he recommended that it should replace the Yak-1 and Yak-7. That’s exactly what happened. Redesignated the Yak-3, the new fighter entered service in the summer of 1944. During its service tests, the Yak-3 proved itself with an authority matched only by the Grumman F6F Hellcat in the Pacific. From June-July 1944, the Yak-3 flew 431 missions with the 91st IAP of the 2nd Air Army, where it shot down twenty Luftwaffe fighters and three Ju 87 Stukas to a loss of just two Yaks. In one dogfight on June 16th, 18 Yak-3s took on a mixed force of 24 German 109s and Fw 190s. They shot down 15 of them, losing only one Yak-3 in the process. The Yak was so fearsome that the Luftwaffe subsequently issued orders to “avoid combat with Yak fighters without an oil cooler under the nose and with an inclined aerial mast below 5000 m”. The Yak-3 didn’t have an aerial mast, but still…dang! Not only feared by its enemies, the Yak-3 was beloved by its pilots for its speed, maneuverability, and ease of operation. Again, like the Hellcat, it was a forgiving aircraft that could turn rookies into aces with aplomb. Marcel Albert, the top French ace of World War II, who flew the Yak-3 with the Normandie-Niemen, considered it the best fighter of the war and superior to both the P-51 Mustang and the Spitfire. Zvezda’s Yak-3 comes in your standard lift-off box featuring some attractive box art marred by the usual Zvezda branding elements. When you remove the top, there’s a nice surprise. 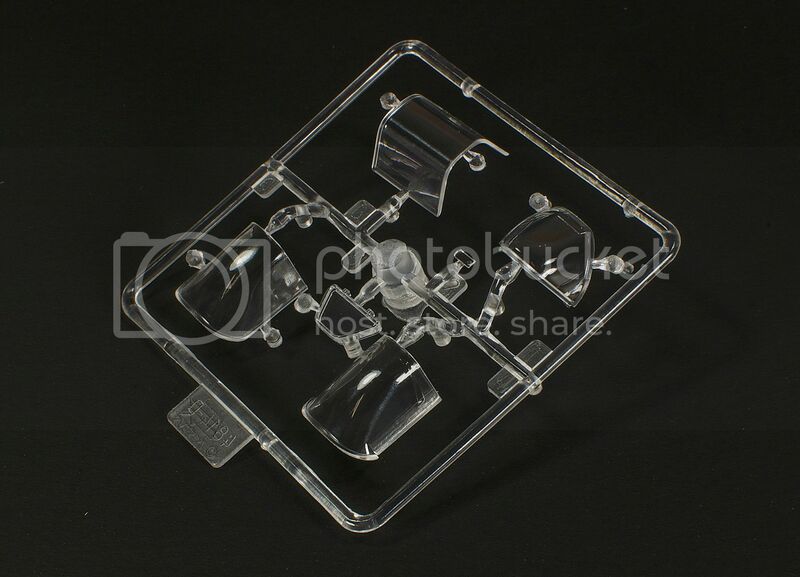 A clamshell cover to further protect the kit from crushing. 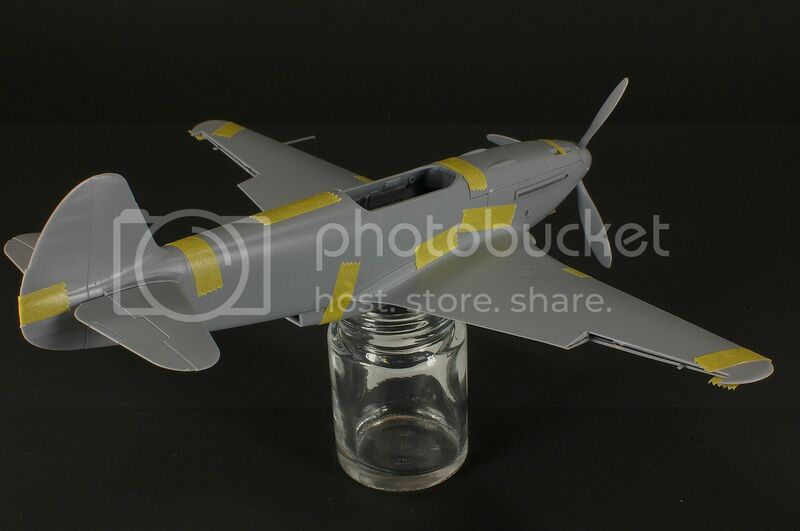 I’ve seen this on larger kits like the HK Models B-25, but never on one of this size. 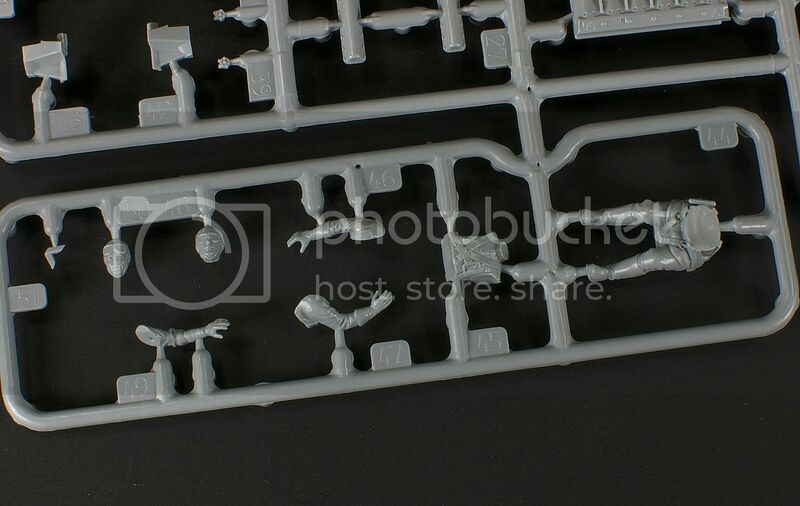 Nice touch, although one marred slightly by the fact that none of the sprues are bagged. 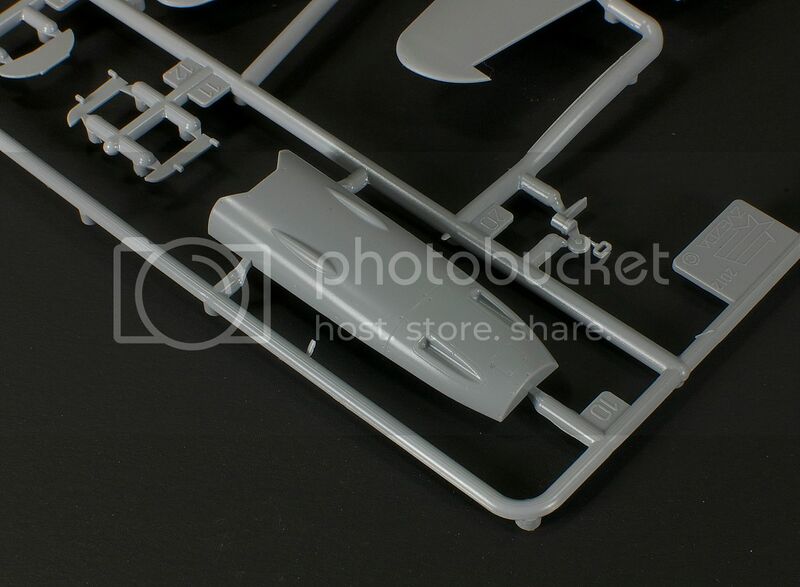 The kit itself is spread across four sprues – three of Zvezda’s soft gray plastic, and one clear sprue for the canopy. 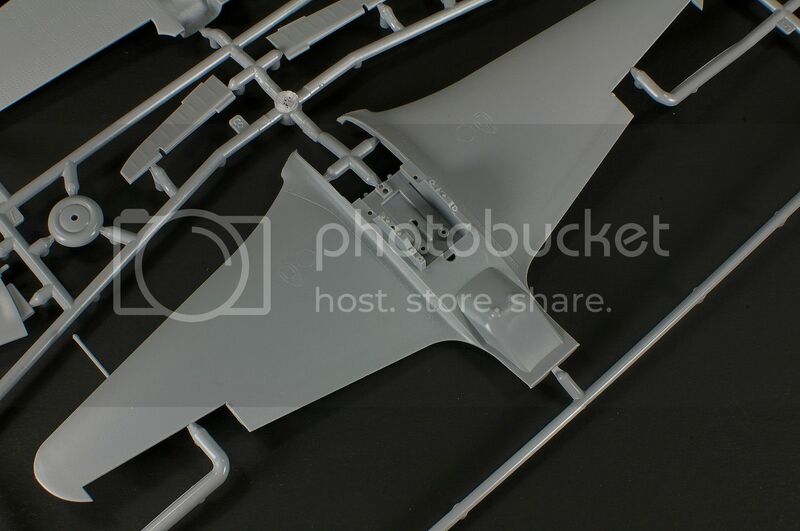 The first sprue contains, more or less, the entire fuselage. 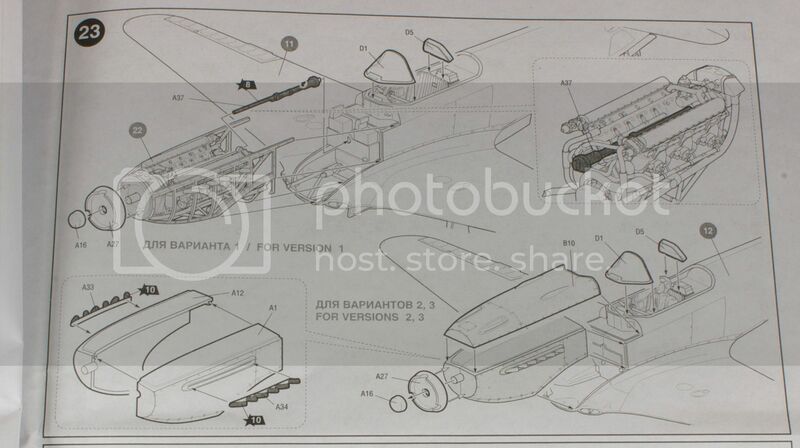 This includes the fuselage halves, the two different approaches to the engine/cowl area, the radiator scoop, propeller, gear doors, tailwheel, exhausts and so on. The propeller, frustratingly, is molded to the spinner cap, meaning you’re going to be in for some masking challenges when it comes time to paint. The detail on the fuselage halves and the cowl panels is crisp and refined, and the fabric surface of the rudder is subtle, a refreshing change from many kits that tend to flub this aspect across a range of subjects. The instrument panel, too, is well done if somewhat simple. A decal is provided for the gauges, though I would be tempted to punch out and place the gauges individually rather than as a single unit. 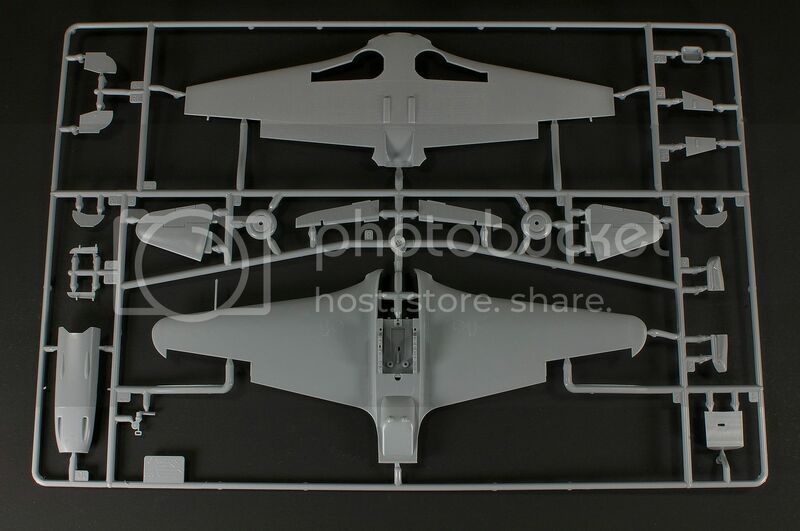 The next sprue is dominated by the horizontal surfaces – the wings and stabilizers, as well as the upper cowl, wheels, and some other small bits. 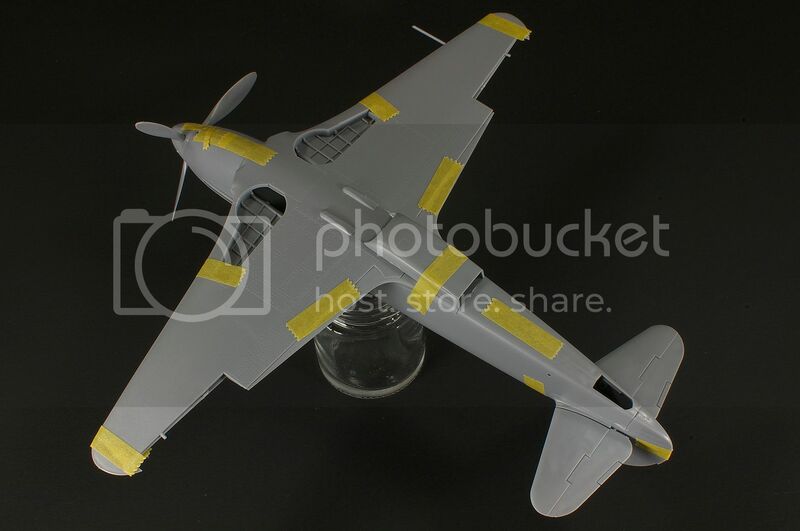 The two-piece wing is an interesting design that would have you join the wing, then plop the fuselage down on top of it. This can pose some problems, but it also ensures proper dihedral and removes any possibility of wingroot gaps. Even though there’s not much detail to be had – the Yak-3’s mostly plywood skin makes for a dearth of surface detail – what’s there is excellent and a massive improvement over the soft, wide detailing on the old Eduard kit. The metal areas, around the cowl and cockpit, and aft of the gear bays on the underside of the wings, show off some well-done rivet detail. Sadly there is no option to deploy the flaps, but I have to imagine Eduard is probably working up a photo etch detail set as I write this. 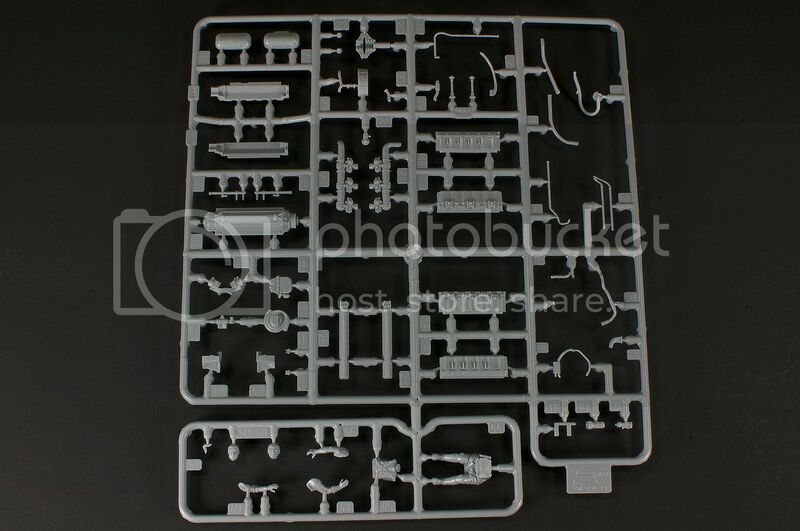 The last gray sprue contains the Klimov VK-105 inline engine and a rather well-done pilot figure. Both are optional to the build, but both are also good enough that there should be no need to go seek aftermarket assistance. 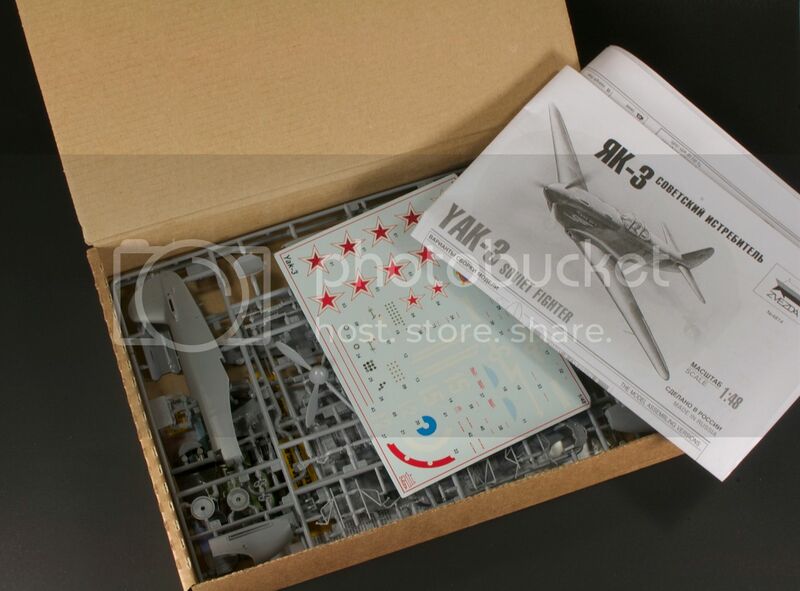 The clear parts are clear and a massive improvement over the somewhat thick and foggy elements of the La-5 kits. One particular item of interest is the way Zvezda handles the problem of posing the canopy open or closed. Some manufacturers tackle this by providing you with two canopies, one designed to be used in the close position, the other opened up. Zvezda goes in a different direction. 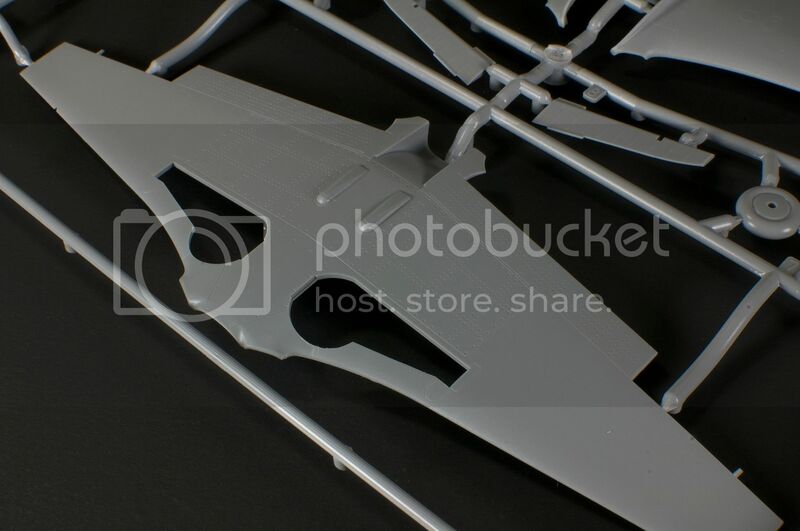 The sliding portion of the canopy remains the same, and instead they provide two different rear elements. In my past experience, Zvezda’s instructions have been a bag of hurt. Not so with the Yak-3. Though crowded with various languages, the instructions themselves are clear and easy to follow. They also – in keeping with past experiences with Zvezda – continue to follow different build versions. 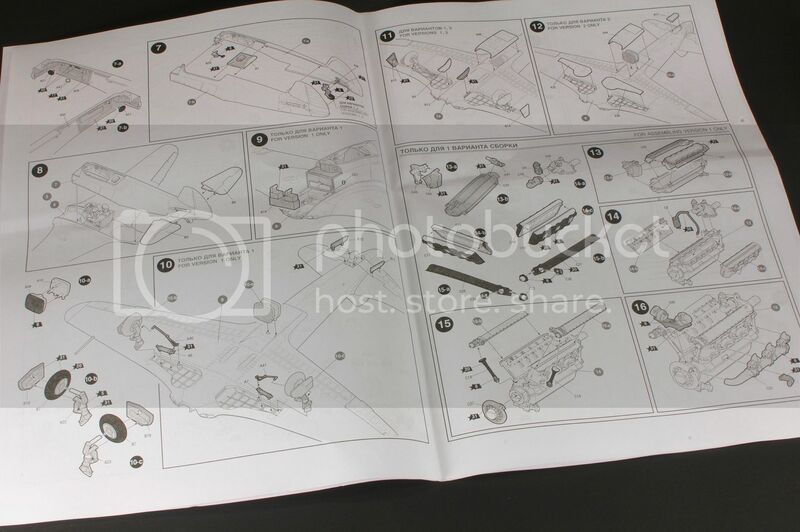 For the Yak-3, you can choose to build it opened up with the engine and UBS machine guns exposed, closed up and on the ground, or closed up and in flight. The instructions help keep you sorted throughout…though honestly you don’t really have to choose which build version you’re going to do until you get close to paint. Well, unless you want to pose it in flight, in which case you’ll need to commit to the pilot early on. 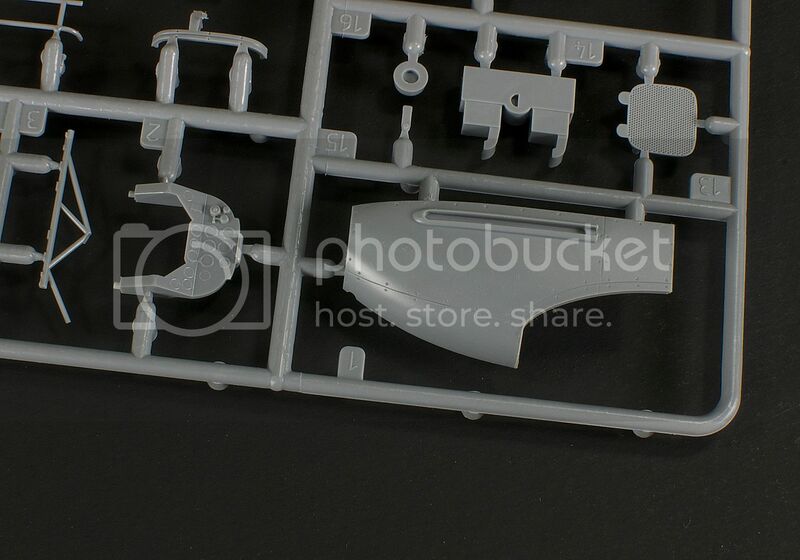 One aspect of the build that I find really fascinating is how the engine/cowl is handled. Perhaps due to complaints with the La-5’s complicated forward assembly, the Yak is a model of simplicity. If you want the engine exposed, you just install the engine. If you want it closed up, it’s a simple matter of placing three cowl pieces (two halves and the upper gun deck). 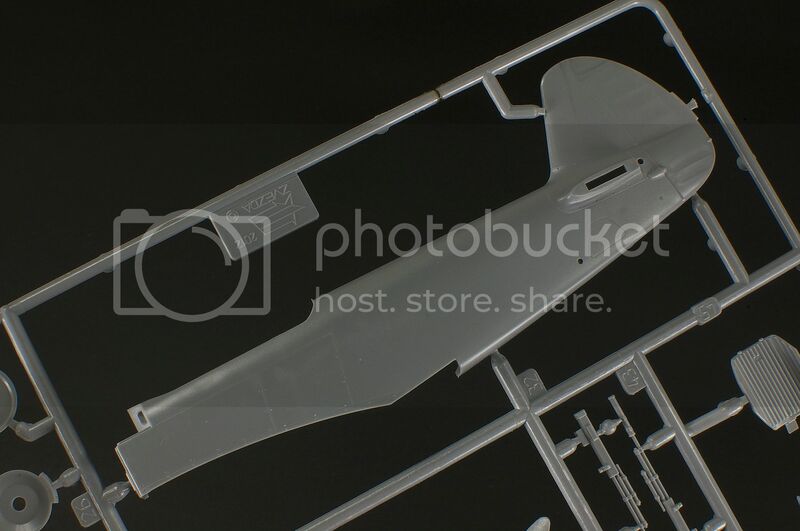 No messing about trying to fit cowl panels over an undersized engine…I have to admit for 1/48 scale I really prefer this either/or approach quite a bit! 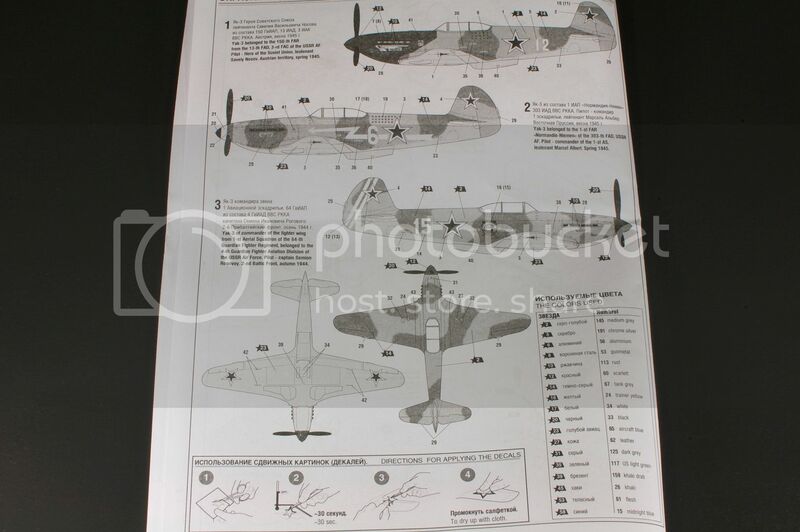 The Zvezda kit comes with markings for three Yak-3s, two Soviet VVS aircraft and, as seems the case with any Yak-3 release, the obligatory Normandie-Niemen scheme. 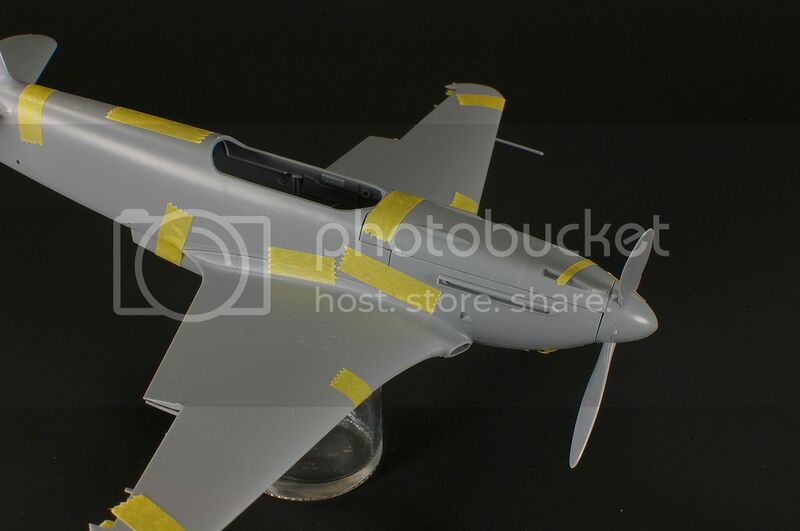 The decals look decent, but not stunning, and this is definitely a case where I would recommend seeking out some aftermarket markings (Authentic Decals makes an epic Yak-3 sheet covering something like fifteen aircraft). The Yak is a much, much simpler kit than Zvezda’s La-5s and 109Fs, which definitely made my job of test fitting the thing far easier. Overall, everything fits and looks appropriately Yak-ish, though I will stress that it doesn’t hold itself together with pressure the way the La-5s do. That goes a long way toward explaining the gaps you see where the fuselage meets the wing and where the cowl meets the fuselage. With some glue, these areas would mesh fine. The only exception is the gun deck, which seems slightly too long. Nothing some quality time with a sanding stick couldn’t address. What’s there to say? 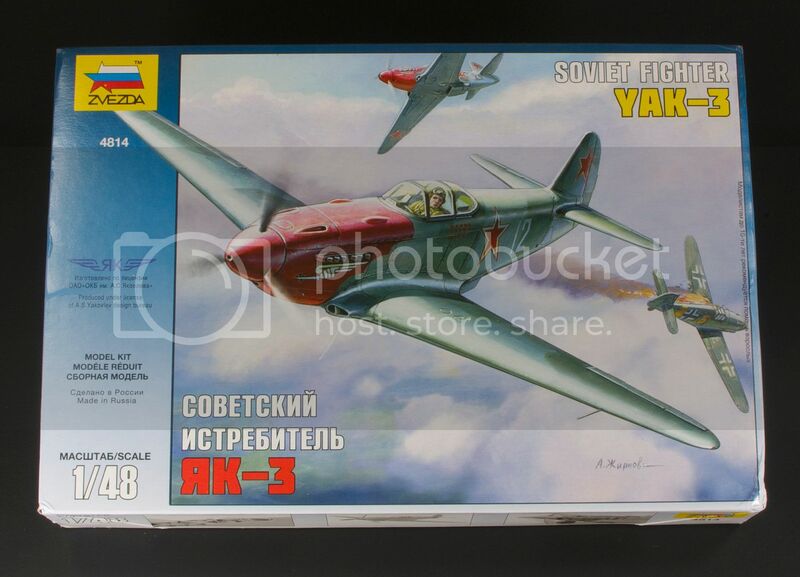 Zvezda’s Yak-3 is an excellent kit of the vaunted Soviet dogfighter. It’s not as ambitious in its engineering as their La-5s or Bf 109s, but then it doesn’t really need to be – the Yak-3 is a pretty simple aircraft. I do think the decals could have been more impressive, and there are some small details I would consider replacing with aftermarket – namely the wheels and exhausts (which aren’t hollowed out). My only major quibble is that this kit isn’t 1/32 scale. But then, that’s my quibble for most all Soviet VVS kits. Manufacturers, if you’re listening, there’s a great gaping hole there waiting to be filled! My sincere thanks to my own wallet for providing this review kit. Previous Post More Soviet VVS Kits!